Amyris balsamifera steam distilled from the wood and branches in the Dominican Republic. Aroma: A base-to-middle note with a medium aroma, its scent is mild, sweetly balsamic and somewhat reminiscent of cedar and muhuhu. Description: A moderately viscous but clear, pale yellow liquid. No pesticides, herbicides or fungicides are used in the processing of the wood or its oil. 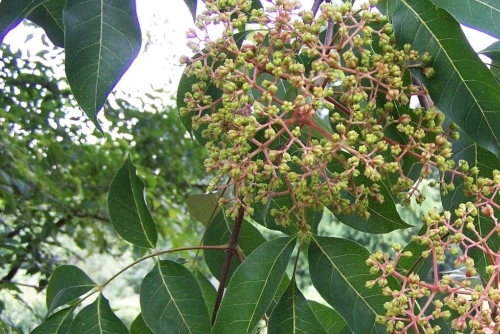 Also known as West Indian Sandalwood, Amyris is indigenous to Haiti and the Dominican Republic. The shrub wood for this distillation is collected from fallen branches and dead wood that when stripped of its bark, retains the precious oils. Available year-round, the semi-aridity of the locale is constant and gives the oil ongoing consistency in quality and scent. Blends With: Amber, Jasmine, Rose, and other woods. It is often used to extend Sandalwood. Common Uses: Amyris has traditionally been used medicinally, as a fragrance, and as an aid to enhance meditation. It is also used as a fixative in perfumery and a welcome addition to fine toiletries and soaps.